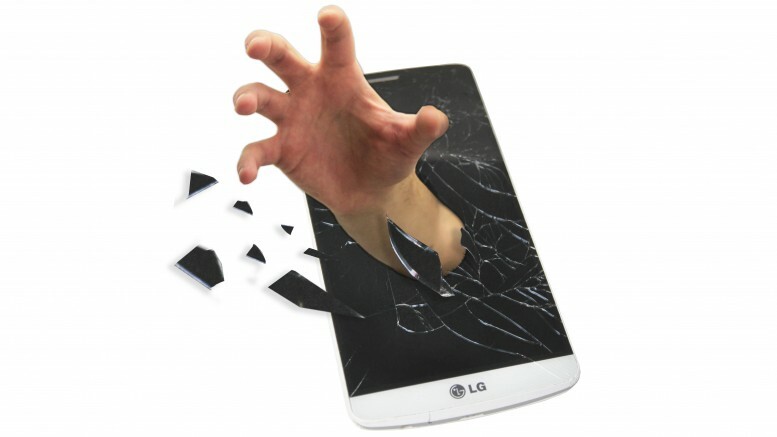 A photo illustration depicts a hand breaking through the screen of a cellphone. It has been said that at the beginning of each morning, 62 percent of people grab for the phone that is more than likely tucked beside their pillow (Photo illustration by Lena DoBynes). Update, Oct. 29 at 3:36 p.m.: The word their was initially misspelled in the headline. With the rise of the cellphone, any activity that takes time away from the small tantalizing device of endless distractions is gradually becoming of less importance to the masses. According to an article written by market consultant Lenna Garibian, 79 percent of smartphone owners from ages 18 to 44 have their phones on them or near them almost 22 hours a day. People should spend less time on their phones and more time on activities that have no connection to their cellular devices. Invite friends out for a game of volleyball at the park, pick up an instrument and start learning how to play, sit down and have a quality conversation with your grandma or just sit and watch the clouds roll by – just leave the phone at home. There is no denying that owning a smartphone has made the average person’s life easier. Most phones have the ability to access internet and download a variety of applications that allow a person to access information ranging from health to banking. However, the more time cellphone users spend on their phones watching the latest YouTube video or updating the world on their latest breakfast, the less time is spent on other activities that benefit to the overall emotional, psychological, intellectual and physical health of a person. From the start of the day, 62 percent of people grab for the phone that is more than likely tucked beside their pillow. It has been suggested that heavy involvement with cellphones can lead to social awkwardness when older and even cause students to develop bad grammar and spelling skills. Being glued to one’s phone can lead to a disconnect within personal relationships as well – 30 percent of cellphone users ages 18 to 29 admit that having a cell phone makes it harder to give others undivided attention. The productivity of the average person has also been affected since the rise of and upgrades to the various cellphones, with 33 percent of smartphone users saying it is difficult to focus on a task when one has a smartphone. Families are more tuned into the screen on their phone than into each other’s lives and many students would rather scroll down their newsfeeds than flip through the pages of their textbook. Cellphones open up a whole world that many would not be able to access without them. Users are more disconnected than ever to the outside world. Although it can be hard to resist checking one’s phone when it dings loudly or when boredom strikes, it is time to put down the cellphones and reconnect with one another. Be the first to comment on "Opinion: Students should disconnect from their cellphones"